Carlos & Abbott, P. A. Native of Miami, Florida. Graduate of Coral Gables High School, and Emory University Goizueta School of Business, Bachelor of Business Administration, concentrating in finance, 1982. Graduate of Emory University Gambrell School of Law, 1985. Admitted to the Florida Bar in October 1985. 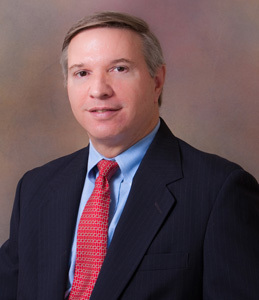 Member in good standing of the Florida Bar, October 1985 through present. Member Miami-Dade County Bar. Beginning in August 1985, I joined the law firm of Carlos & Abbott, P. A., and worked there in that firm’s various configurations until September of 1995, when I left the firm to form my own practice. I have practiced as a sole practitioner since September 1995. Throughout my legal practice my area of concentration has been similar. I have always concentrated in estate planning, real estate, and business transactions, with no litigation. I believe the areas are complementary to each other without being too broad. A good percentage of clients who need legal services in one area of my concentration will need it in one or more other areas. My goal is to develop long term relationships with clients. This is why I have had many clients for 10, 15, even 20 years. I know them and they know me. This allows me to better fill a lawyer’s role of counselor, not only advocate. These long term clients know they can trust me whatever the issue, even if it’s a matter I have to refer out. Any lawyer can represent a client once, but just like with most other relationships it’s over the long term when I can represent a client best. In my practice, I have represented purchasers and sellers of residential and commercial real estate, as well as owners and developers of condominiums, shopping centers, hotels, warehouses and office buildings, building contractors, and various types of retail and wholesale businesses, which one finds in South Florida communities. I am an unrestricted title agent for Old Republic National Title Insurance Company and have written hundreds of millions of dollars of title insurance over the course of my career, with the largest single policy for 39 Million Dollars, covering two shopping centers. My estate and probate practice runs the gamut from ordinary folks needing a basic plan to multimillionaires needing various types of Trusts and partnerships to ease the burden of estate tax. Many people avoid estate planning because they believe it somehow promotes their mortality. I compare an estate plan to a good umbrella. If you take an umbrella, it’s less likely to rain, not more. If it does rain you won’t get wet. Business transactions I have handled include the formation of corporations, partnerships, limited liability companies and trusts, as well as administrative maintenance. Transactions also include complex buy-sell agreements or succession planning tying into an estate plan. I particularly enjoy business purchases and sales of closely held businesses. I have represented professional practices, franchisees, industrial, construction trade, retail, hospitality and public storage type warehouse business purchase and sales. I have carried a Martindale-Hubbell rating of AV for many years. The AV rating shows that a lawyer has reached the height of professional excellence. It means that he has practiced for many years and is recognized by his peers for the highest levels of skill and integrity. Martindale-Hubbell is an international lawyer locator and peer review service. AV is the highest rating awarded by Martindale-Hubbell.